A premium Mulch containing Living Earth Compost, that feeds your plants while supressing weeds and locking in moisture at the roots where it's needed. 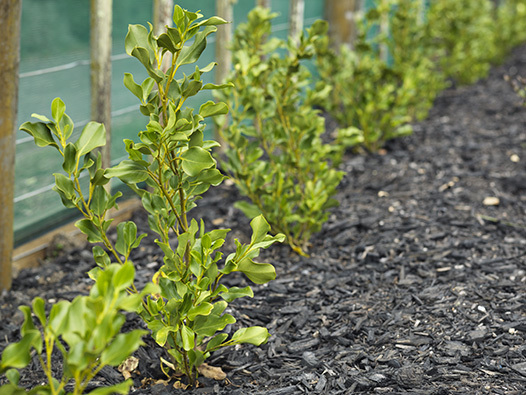 BLACKGOLD Mulch is available exclusively through Central Landscape & Garden Supplies. www.centrallandscapes.co.nz. Perfect for locking in moisture at the roots of the plants and keeping weeds out Layer over clay or compacted soils - the added compost works down and interacts with it, encouraging worms to the surface to 'open up' the texture.